Suraj joined the University of Sussex after completing his doctorate at Cardiff University. During this time he was also employed as Researcher for the Universities' Police Science Institute and lectured at the School of Social Sciences. Other academic achievements include an MSc in Risk and Security Management from the University of Southampton. 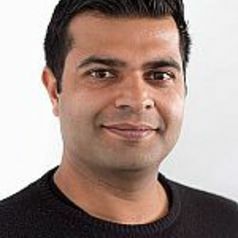 Prior to his doctorate, Suraj worked as Researcher for the National Security and Resilience Department within the Royal United Services Institute for Defence and Security Studies, a think-tank based in Whitehall, London. Suraj regularly provides expertise on the topics of radicalisation, violent extremism, counter-terrorism and policing to a variety of print, radio and television outlets. These include, for example, The Times, The Wall Street Journal, BBC Radio 4, BBC Breakfast, BBC News 24 and The Guardian.